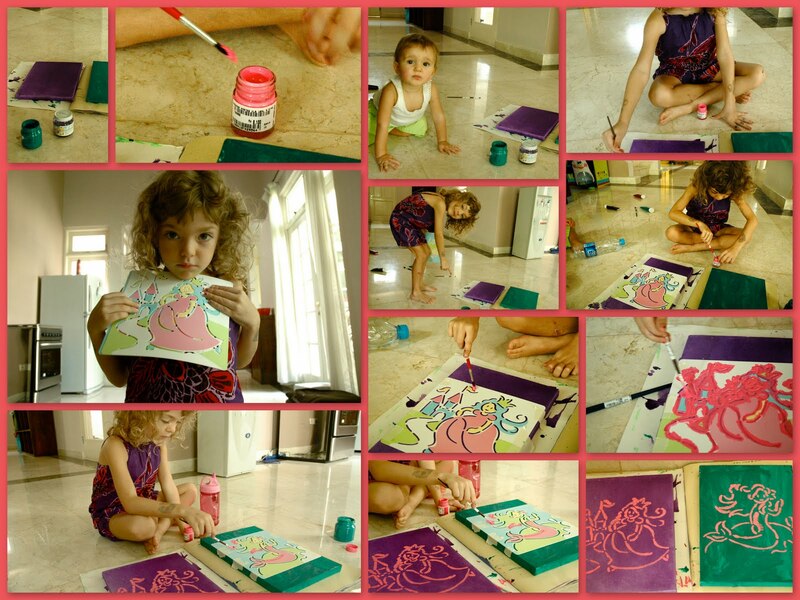 My daddy, Skyelar, and I had lots of fun painting some canvasses for my room. We used stencils and acrylic paints. I am very tidy and keep my space very clean. I paint carefully, but Skye keeps getting in the way. Kaia, it looks like you were very busy. I am sure you will have a great looking room. Can you post some pictures of it when you get it done?